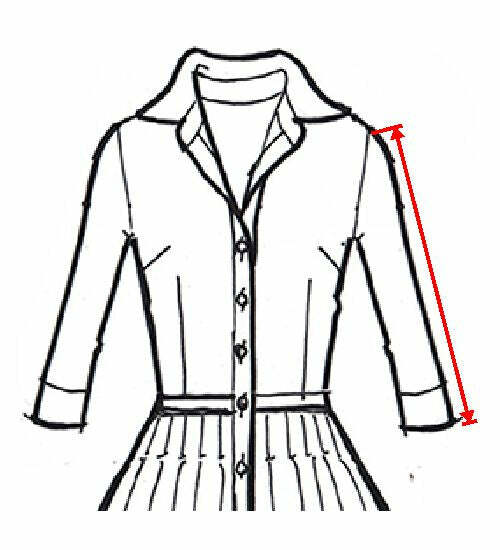 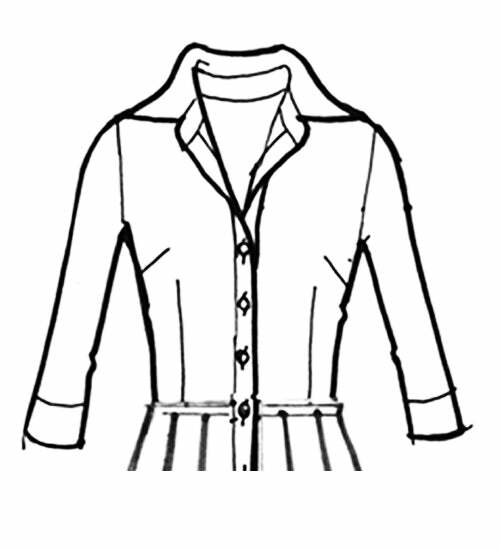 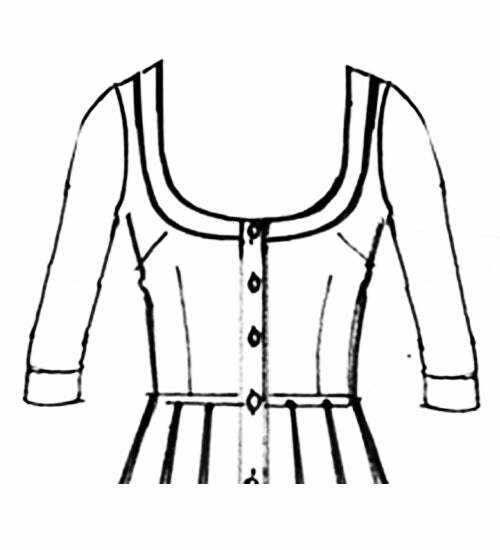 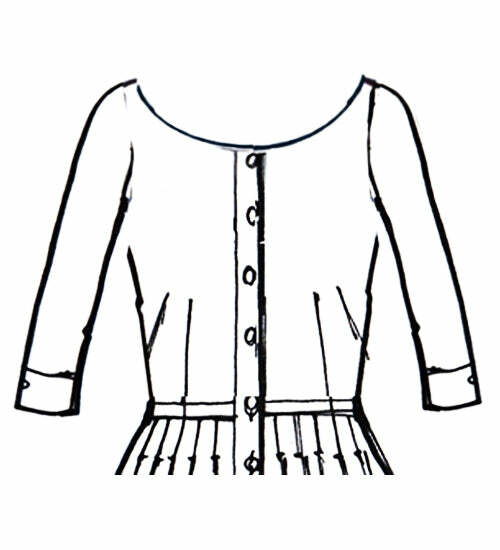 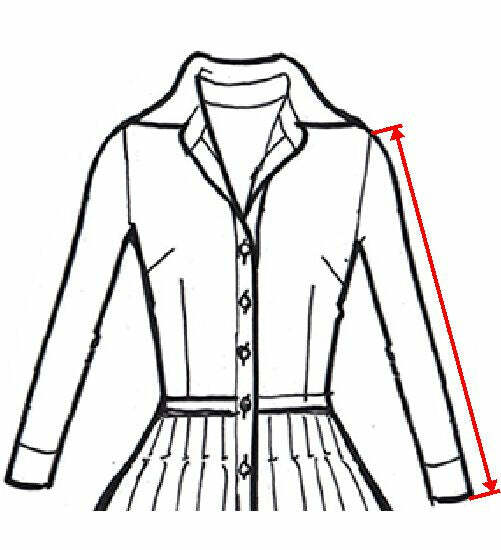 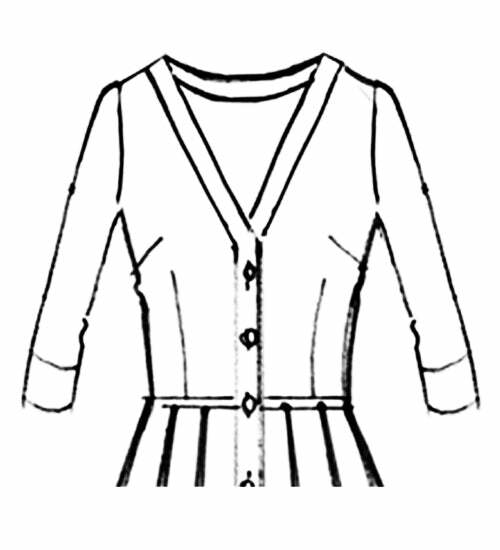 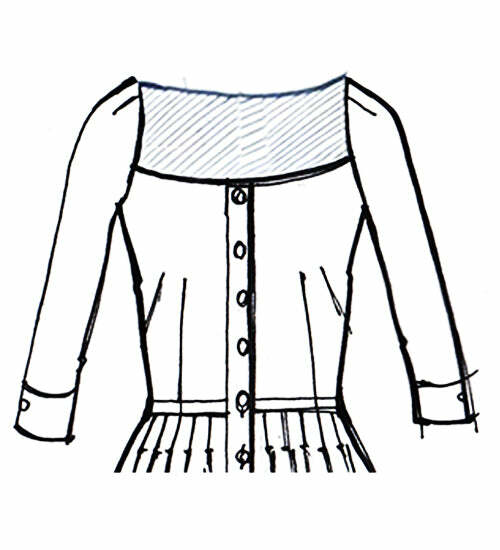 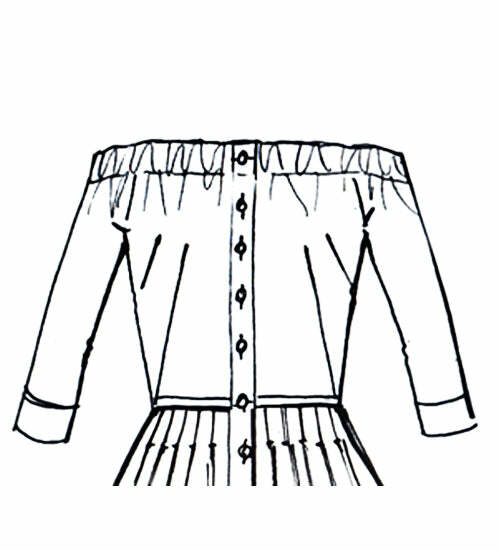 A TOTAL LENGTH Measured from neckline/shoulder to bottom of garment. 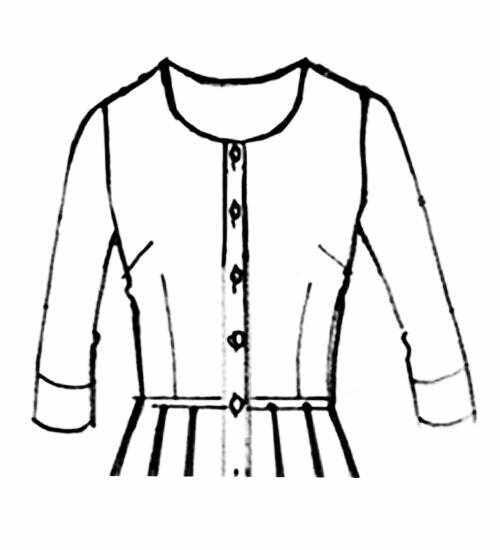 B CHEST Measured 2.54 cm (1”) below armhole. 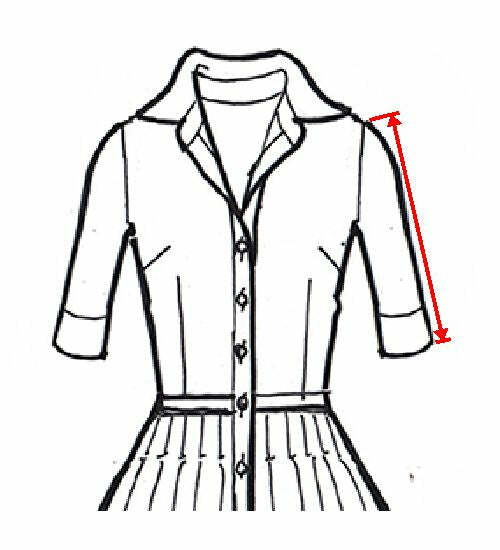 D SHOULDER WIDTH Measured from seam to seam. E HIP Measured accros the garmen, in line with your hip.